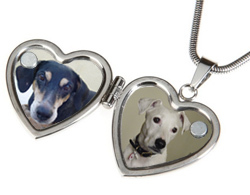 This beautiful heart shaped pet photo locket is a lovely way to have your pet's photo with you always. The pendant locket is decorated with a filigree design and features the words "Always in my heart". Can be used as a memorial keepsake or just as a beautiful piece of jewellery with two photos of your beloved pet's inside. 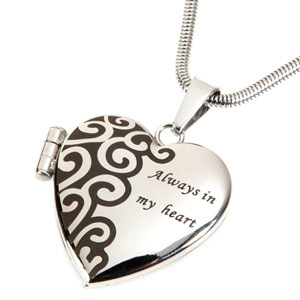 Made of high quality stainless steel on a matching 18 inch chain. 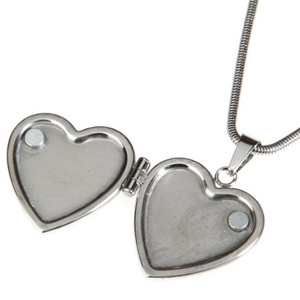 This heart shaped double photo locket and chain comes in a lovely presentation box.